UN's nuclear watchdog releases new report saying Iran is still abiding by the restrictions of the 2015 nuclear deal. Iran is still implementing the 2015 nuclear deal, the UN's nuclear watchdog said in a new report released Thursday. The International Atomic Energy Agency (IAEA) report, seen by the AFP news agency, shows that Iran is abiding by the deal's key restrictions on its nuclear facilities in return for relief from damaging economic sanctions. The latest assessment from the IAEA comes after U.S. President Donald Trump withdrew from the accord earlier this month. The IAEA urged Iran to stick with the accord and even go beyond its legal obligations so as to boost international confidence in Tehran's commitments. 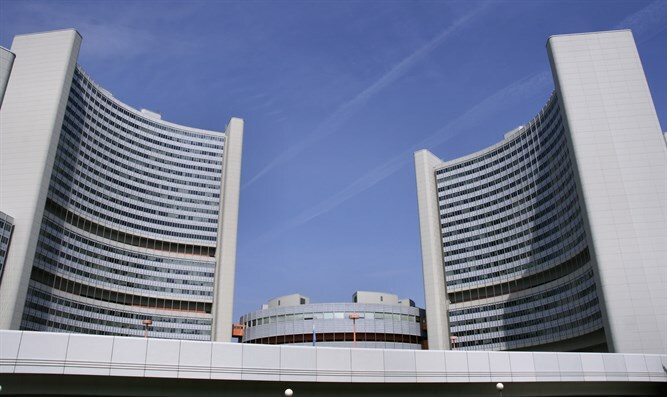 A senior diplomat in Vienna, where the IAEA is based, said this was not prompted by any lack of co-operation or change of behavior on Iran's part. The IAEA is "encouraging (Iran) to go above and beyond the requirements" of the deal in order to boost confidence, the diplomat said, according to AFP, adding that Tehran could, for example, invite inspectors to sites they had not demanded access to. Signatories Britain, France, Germany plus the European Union, Russia and China have been trying to salvage the deal after Trump's decision to withdraw, but Iran has warned that if it suffers as a result the reintroduction of U.S. economic sanctions, it could walk away from the accord. As in previous reports, the IAEA confirmed that the number of centrifuges to enrich uranium at Iran's Natanz plant had been kept below the agreed level of 5,060, while its total stockpile of low-enriched uranium "has not exceeded 300 kilograms (660 pounds)". Since the deal came into effect, Iran has twice inched over the agreed volume of heavy water, a reactor coolant. However, the latest report said that for the past three months the volume had remained below the agreed maximum of 130 tons. Despite the U.S. leaving the deal, officials in Washington have said the White House wants inspections of Iran's nuclear sites to continue despite Trump's withdrawal from the deal.